Oh no (insert sad face). 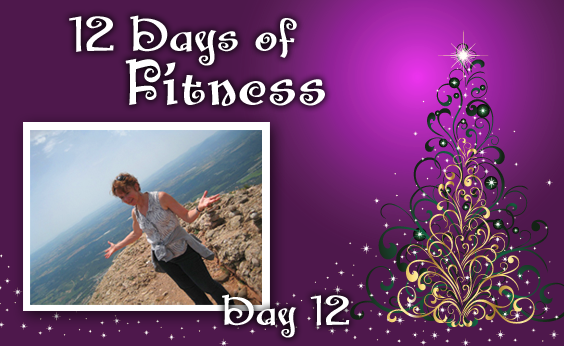 The 12 Days of Fitness are over! 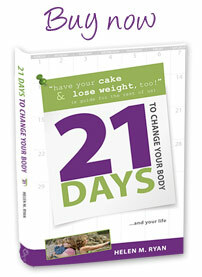 We’ve seen some really useful (and different) tips and thoughts from 12 experts in fitness, weight loss and life. Now, the power is in our hands to make change, do good, and be who we really want to be. What is it you want? No, no. What is it you “really” want? Oh, I hear you now. What you said you really, really want is to go into the next phase of your life knowing that you have done everything you can to be free of the typical “lifestyle diseases” of our culture. Oh, and that too. You want to be able to hike in the mountains with your teenagers and to have the energy to complete your work day and then truly enjoy each and every evening. And that too: You want to look darn good when you walk into that room of strangers at the conference. Getting in touch with your deepest motivators for being fit and trim is perhaps the most important thing you can do to get there. If you don’t know where you want to go, you’ll never get there. She is known in weight loss and wellness coaching for deep listening, beyond the actual words, and for targeted questions which open doors in her clients’ thoughts and feelings and lead to their inevitable successes. And she walks the walk. She has lost 115 pounds since turning 50. 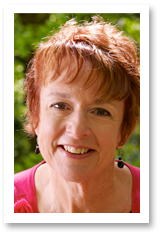 Lisa has a master’s degree in nursing and is a certified wellness coach. She splits her time between the Isle of Man, U.K, Asheville, NC, and the San Francisco Bay area. The series is wrapped up! But no worries…you can see all the earlier days here and learn from the weight loss, fitness and life experts ‘in the know.’ Day 1 (Keep Exercise Fun), Day 2 (Making the Impossible Possible), Day 3 (Healthy Holidays), Day 4 (Quickie Time), Day 5 (Walk the Doggiesaur), Day 6 (Fitness Games People Play), Day 7 (Are You Really Hungry? ), Day 8 (No Weight Loss One-Hit Wonders), Day 9 (A Change of Attitude Causes 100 Lb. Weight Loss), Day 10 (HIIT Your Fat Stores Where It Hurts), Day 11 (The Secret Rewards of Hiking).